MLB outfielder who hit his first World Series home run in 2012 as a Detroit Tiger. 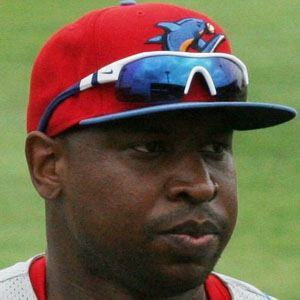 He won Baseball American Minor League Player of the Year in 2005. His older brother Dmitri Young also had success in the MLB, mostly with the Cincinnati Reds and Detroit Tigers. He was born in Montgomery Alabama, but his family later moved to California. He played alongside Miguel Cabrera on the 2012 AL Champion Detroit Tigers.